The Central Bureau of Investigation is investigating alleged fraud at state-run Syndicate Bank that involves more than Rs 10 billion ($148.4 million), a police spokeswoman said on Tuesday. The CBI is searching 10 locations that include bank branches and homes of bank employees, CBI spokeswoman Devpreet Singh told Reuters. The alleged fraud includes the use of fake bills and providing overdraft limits against non-existent life insurance policies, Singh said. 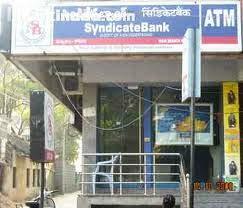 Syndicate Bank did not immediately respond to a request seeking comment. Its shares were down 3.8 percent by 0814 GMT, compared with a 0.3 percent fall in the benchmark NSE index.